Disney has announced that Star Tours is coming back, and that the newly updated attraction will reopen May 20, 2011, at Disney’s Hollywood Studios in at the Disney World theme park in Orlando, Florida. Star Tours is a motion simulator attraction based on the Star Wars universe created by George Lucas. It was first launched at Disneyland in 1987 as a creative collaboration between Disney Imagineers and George Lucas with Industrial Light and Magic. 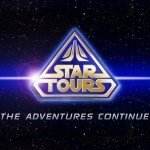 The new version, retitled Star Tours: The Adventures Continue, will be based on a story set between Star Wars Episode III: Revenge of the Sith and Star Wars Episode IV: A New Hope. Anthony Daniels, James Earl Jones, and Peter Mayhew reprise their roles as C-3PO, Darth Vader, and Chewbacca, respectively, for the attraction.